Brit Morin: In bed, or out of bed? 🙂 In bed, I do a quick scan of email, social feeds and news to ensure there’s no fire to be put out or breaking event overnight. Out of bed, I try to get a yoga or running workout in to clear my mind and strengthen my body for the day. I live near a lot of trails and love getting up with the sun. BM: This is a double-edged sword, but my kids! They force me to be energetic whenever I am playing with them. I put my phone away and try to take them outside as much as possible. That being said, they are definitely energy draining as well. Once they are in bed, I want to crawl in bed too! BM: Learn to sleep on planes! I have traveled most weeks of this year, which I’m not entirely proud of, but it’s been key to growing my business. Given that I have two young kids, I’m often there and back in the same day (yes, even on cross-country flights!) so that I only have to miss one bedtime routine. Learning how to successfully sleep on a red eye is the only way to be an entrepreneur and a mom. PS: My second favorite life hack is to substitute applesauce for oil in your cakes. Game-changing! BM: Dale Carnegie’s How to Win Friends and Influence People is definitely one of the first that comes to mind. In fact, even though I am in no way a tattoo person (I’m SO vanilla), I have considered getting a small one on my wrist inspired one of his key tips: “It’s not about you.” Living life by putting others first has definitely helped me form important relationships, but more importantly has given me a spirit of graciousness which ironically keeps me personally motivated and happy. BM: I have a stronger relationship with my phone than I would like, but as I’ve gotten older I’ve learned that it’s okay to turn off and recharge. Often taking a break can make you MORE productive. I try to avoid it on weekends and it goes without saying that my phone is definitely off limits when I’m with my family. 100% of my attention goes to them. BM: We’ve moved a lot of our internal communication to Slack, which has helped reduce my email load immensely. I also schedule daily work blocks to catch up on email so there’s not pile up. I do one at the beginning of each day and the other at the end of it. In between, I check email here and there when urgent. BM: If I’m in the office, I’ll try to catch up with someone on my team casually. As Brit + Co grows, it’s more and more difficult to keep close relationships with each employee but I genuinely care about each of them and their well-being. If I’m at home, I’ll spend that time doing or learning something creative! I try to practice what I preach and use my hands whenever I can to stay inspired. BM: I’ve found that as an entrepreneur, you’re both always burned out and never burned out. You’re dealing with a million things at once and you’re most likely trying to conquer your own internal sense of ambition and determination, making it feel like an ongoing marathon that will never end. At the same time, you chose to do this because you are one of the rare breeds of humans that thinks running those kinds of marathons are fun. Entrepreneurs can’t help but be entrepreneurs. They long for chasing big goals. They can’t truly compartmentalize life from work—a lot of it bleeds together. I often even dream about my work! But I also spend quality amounts of time with my family, on my health, and with my friends. It’s less about a balance of life/work quantity, but more so about life/work quality. BM: I think I fail literally every week. In the world of startups, nothing is ever perfect. 100% of your team is never completely happy. Everything you’re trying to do never completely works. Even if it’s not my personal failure, I take accountability for any of my colleague’s failures because it’s my team and my company. So, given the frequency of which we fail (which I must think is true for all companies who are trying to innovate), I’ve learned to stay focused on all the things that aren’t failing. The new revenue. The new growth. The new recruits. The new partnerships. As long as we are learning from our failures, we’re consistently getting smarter and better at everything we do. And given the repetitive nature of learning through failure, we’re not as scared to try new things. 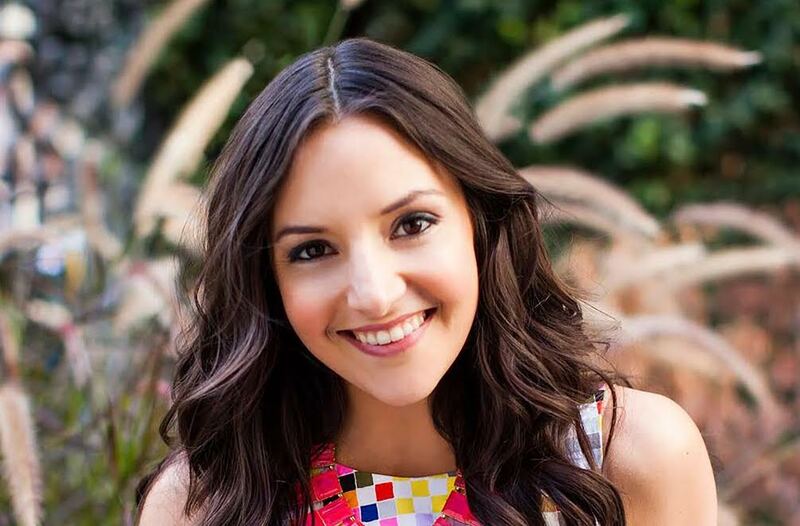 Brit Morin is the founder and CEO of digital media company Brit + Co. Through inspirational content, online education, merchandising, and experiences, Brit + Co enables their audience of over 130 million to use creativity to shape their best lives.